* The finance minister said that the in every budget he has been making efforts to put surplus money in the hands of the middle-class taxpayer. * Confident of limiting the fiscal deficit target for 2018-19 within 3.3%, the finance minister said. * Finance Minister Arun Jaitley presents Union Budget 2018-19 in Parliament. * The cabinet, in a meeting, approved the Budget. 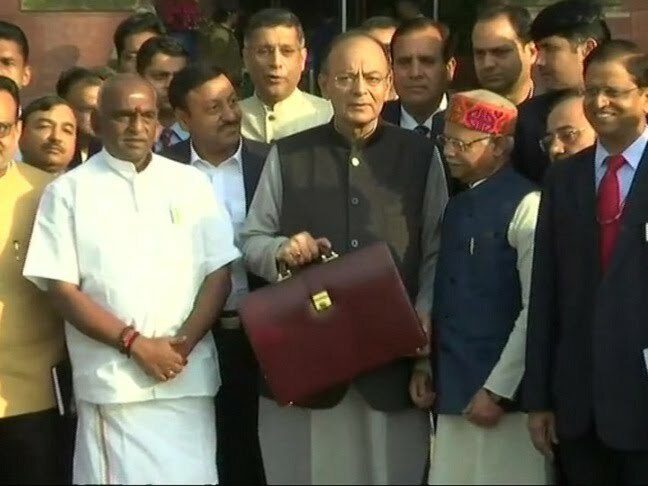 * Union Finance Minister Arun Jaitley has arrived in the Parliament to present his Budget for the year 2018-19. * The Budget of 2018 is India's first after the implementation of the Goods and Services tax (GST) in June last year.